SIC-FRAME-2007 Stoddard Porsche Frame, Chromed Plastic with Stoddard Logo. Price is for 2 frames. SIC-SWAP-00-15 Stoddard 2015 Swap Meet Shirt with Nicolas Hunziker 904 Design. Black T Shirt with Multi-Color Design on Back. Stoddard Logo on Front. Click To Choose Size! TIG-356-00 Stoddard Authentic Parts T-Shirt, 356 Design in Pale Blue. Click To Choose Size! TIG-911-00 Stoddard Authentic Parts T-Shirt. 911 Design in Signal Orange. Click To Choose Size! BOH-607-00 Royal Blue T Shirt with 911SC or Carrera. Stoddard Authentic Artwork by Nicolas Hunziker.. Click To Choose Size! BOH-611-00 Charcoal 914-6GT T-Shirt, Stoddard Authentic Artwork by Nicolas Hunziker. Click To Choose Size! BOQ-603-00 Hunziker Apparel 1971 Monza T-Shirt, Light Blue. Click To Choose Size! BOQ-601-00 Hunziker Apparel 1971 Vic Elford at Sebring T-Shirt, Navy Blue. Click To Choose Size! BOQ-602-00 Hunziker Apparel 1970 Targa Florio T-Shirt, Light Blue. Click To Choose Size! BOQ-606-00 Hunziker Apparel 1968 Elford Targa Florio T-Shirt, Yellow. Click To Choose Size! 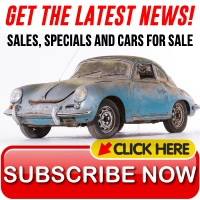 BOQ-607-00 Hunziker Apparel 1956 Targa Florio T-Shirt, Bordeaux. Click To Choose Size! BOQ-600-00 Hunziker Apparel 1973 Targa Florio Monza T-Shirt, Navy Blue. Click To Choose Size! BOQ-608-00 Hunziker Apparel 911ST T-Shirt, Green. Click To Choose Size! BOQ-735-00 White embroidered Stoddard Polo Shirt. Click To Choose Size! WAP-591-00S-0B White Polo Shirt with Porsche Crest, Small. SIC-SWAP-17 2017 Stoddard Swap Meet T-Shirt. Artwork By Nicolas Hunziker. Click to Choose Size. SIC-SWAP-18 2018 Stoddard Swap Meet T-Shirt. 914 Artwork By Nicolas Hunziker. Click to Choose Size. SIC-LIT-18 2018 LA Lit Meet Event Shirt With Nicolas Hunziker Artwork. Click to choose size. 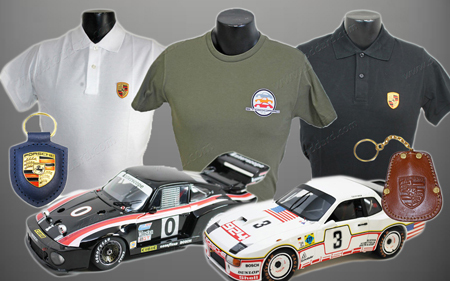 SIC-360-00 Blue 911R T-Shirt, Stoddard 60th Anniversary Authentic Artwork by Nicolas Hunziker. Click To Choose Size! SIC-260-00 Green 356 Carrera T-Shirt, Stoddard 60th Anniversary Authentic Artwork by Nicolas Hunziker. Click To Choose Size! SIC-160-00 Red 930 Turbo T-Shirt, Stoddard 60th Anniversary Authentic Artwork by Nicolas Hunziker. Click To Choose Size! SIC-SWAP-00-16 2016 Stoddard Swap Meet Shirt with 912 Artwork by Nicolas Hunziker. Slate Grey. Click to Choose Size. WAP-592-00S-0B Black Porsche Crest Polo Shirt, Small.